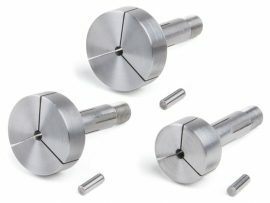 The Sherline metric WW collet set contains 77 collets sized from 0.3 mm to 8.0 mm by 0.1 mm increments plus a blank collet that can be made into any size collet by the user. 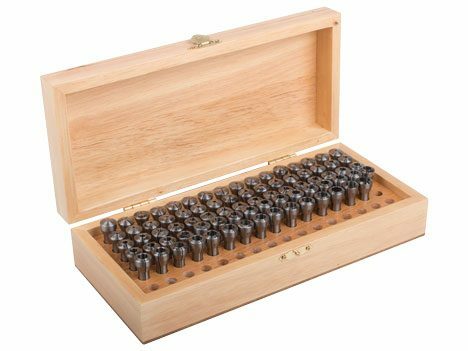 It comes in a finely finished hardwood box with 96 holes, leaving room for other collets should you have extras or inch sizes to store. 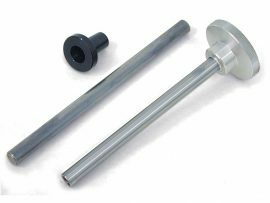 Sherline manufactures these collets to standard WW specifications; however, we have come across collets that are called WW and will not fit our drawbar and adapter. Be sure to check WW collets made by other manufacturers to be sure they fit our adapter before you purchase them. 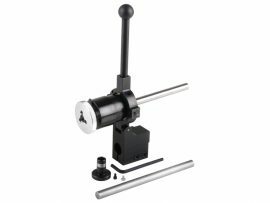 Sherline manufactures a slightly larger .315″ adapter and drawbar set that will accommodate some of these other brands.